Have you heard of Maggie Whitley yet? If you haven’t, let me introduce you to a beautiful Esty shop full of wallets, clutches, coin purses, and more. Gussy is so creative that you will need more than one of her pretty creations! She uses beautiful fabric and buttons to create original designs that are sure to brighten up your day. The finishing touches are where you can really see Gussy’s talents shine! Let’s take a look at a few styles available in her shop right now. This is a Lovely Gus clutch made from a nature-inspired print of off-white, blue-gray, mustard and gray. I love the textured wooden button! Everyone has room in their closet for a clutch like this one! Here’s a new addition to Maggie Whitley, and I’m sure it’s going to be a hit. Every girl needs a sassy pouch to carry with her. 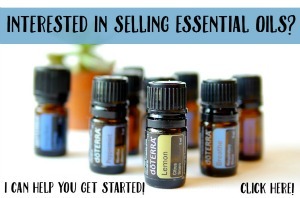 Great for around town or in your purse for some extra zing! Do you love ruffles? Gussy uses a ruffle to spice up this great make-up bag. The colorful stripes are sure to match almost anything in your wardrobe. Pretty and waterproof…cool! 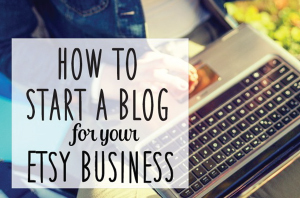 I have to tell you about Gussy’s blog! You are going to love it! Don’t miss the story of her name, Gussy. You’ll enjoy the funny posts and peeks at new projects. This stunning Maggie Whitley Green Garden Wallet could be yours! It’s perfect for your cash, checkbook, or coupons. Don’t you love the colors? I do, it’s one of my favorites! The Heather Bailey fabric is so fun. The Maggie Whitley signature ruffles are the coolest thing! You can see more photos of the wallet in the Etsy shop. 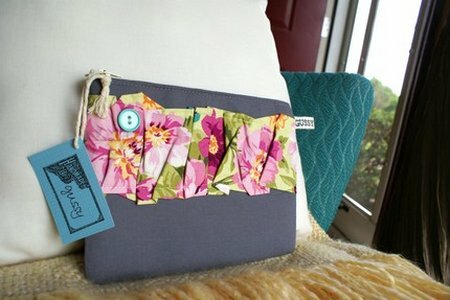 This wallet sells for $28.00 and Gussy will ship it right to Everything Etsy’s lucky winner. Want to know how to win??? Visit Maggie Whitley and leave a comment here about your favorite item. If you are an Everything Etsy subscriber, leave a separate comment letting us know. If you spread the word of this giveaway by a blog post, Twitter, Facebook…whatever, leave a third comment. There you go…three chances! We’ll pick a winner August 5th. Good luck! **This giveaway is closed. The lucky winner is Bonny! Congratulations! Thanks to everyone for the wonderful response! I absolutely love the zippered make up bags & how Gussy makes them waterproof!! The ruffle is so cute! My favorite item is the Gussy’d Up – Pink Ruffled Stripe Zipped Make-Up Bag or Diaper Organizer, Waterproof. Later today I’m going to work on another one of my giveaway around the blog world post. Love the pears make-up bag!! Too cute! WOW! Thanks for sharing this lovely etsy seller! Loving the Gus for Work Green Garden…beautiful things! I love the apples and pears bag! I subscribe to u now. The wallet that is the giveaway would be so cute with my new Kate Spade purse. I love it. And, of course I follow! I love her apple wallet! It’s going on the wish list! Thanks for sharing these with us, great stuff there! My favorite item is Charming Gus – Sassy Floral Wallet with Yellow Button:) Thanks! 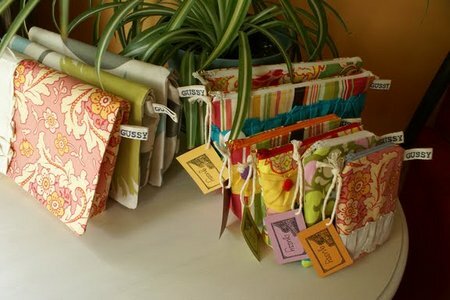 I absolutely adore “Gussy’d Up – Green Garden (large) Zipped Make-Up Bag or Diaper Organizer, Waterproof.” The fabrics and textures are gorgeous!! oooh.. I think my favorite is the one being offered in this giveaway! Close second is Ruffle Gus – Pears with Pink Ruffle Wallet. and I subscirbe in igoogle reader. I like the laptop bag. I looked through everything & loved a bunch of it. I think my fav is the Lovely Gus – Slate Gray Pouch with Pink Garden Ruffle! Wow, she has such beautiful creations!!! I think my favorite is the Green with Pink Ruffle Zipped Makeup Bag or Diaper Organizer. TOO CUTE! I love the nature clutch. So nice. I love all of the bright stuff too. pretty much her whole shop is amazing! I’m a subscriber, and I think you’re awesome! I really like the Soft Blue and Yellow Baby Blanket, knit. i love the table runner as well! perfect for my kitchen as it matches the colors completley! The pear wallet is lovely and so is the laptop case. In fact, I love them all. 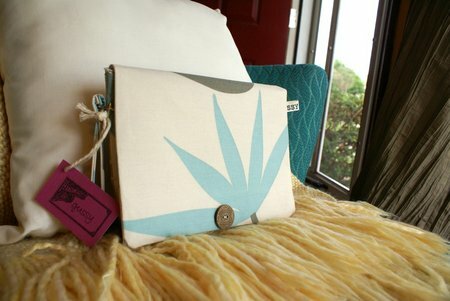 My favorite thing from here etsy site is the clutch..that fabric is so cute! Heck, I love all of her stuff, tomorrow my favorite might be the laptop case!! I like the Ruffle Gus – Red and White Wallet, that is on sale right now. Thank you! Ohhh, everything is so pretty!! I especially love the Nature Clutch (leaf) with Brown Wooden Button. My favorite item is the Ruffle Gus – Green with Pink Ruffle Wallet (and orange button)! SO BEAUITFUL! I’m a Subscriber (and love it)! OMG! Everything in this shop is adorable. I love the Shady Gus – Garden-Inspired Floral Sunglasses Case with Turquoise Ruffle. I love the Gussy’d Up – Green Garden (large) Zipped Make-Up Bag! i love the Ruffle Gus – Green with Pink Ruffle Wallet (and orange button)! My favorite is the nature clutch (leaf) with brown wooden button featured above. It’s lovely! I love the Charming Gus wallet. So cute. I love the lovely gus pink and blue vintage zipped pouch. So cute! I love the Lovely Gus – Slate Gray Pouch with Pink Garden Ruffle. It is so adorable. What a great idea. I like the Charming Gus – Sassy Floral Wallet with Yellow Button. I love that print. Also, I think it’s absolutely adorable the way all the product names involve Gus or Gussy. Cute stuff. The Ruffle Gus – Circus Wallet with Orange Ruffle is very cute! The wallets look fantastic too! Hello! My favorite piece of your collection is the Sassy Floral Wallet with Yellow Button! Have a great day! I’m also an Everything Etsy subscriber! And also tweeted about this! : blee22 Follow me for lots of updates about social media (my career path and hobby,) jewelry, beauty tips, and updates from my Blog! I really like the green w/ pink ruffle wallet! I am loving the Lovely Gus bag! Love this wallet.. I designed handbags for years and just sold my business last May.. I wanted to get into blogging and help women spread the word about their products.. I would love to win this.. very fun.. I would love to add you on my blog and write about you. Would you donate an item for a Giveaway? Let me know. I would love to hear from you.. much SUCCESS! Ooh, she has such beautiful work! I love the Sassy Floral Wallet with Mustard-Yellow Button from her shop, and I am also dying over the blue-gray one you ahve pictured. Awesome giveaway, thanks!! And I subscribe through Google Reader! I love the apple wallet…too cute! I love the Gus for Work bag! It is so cute! I like the Shady Gus Pink Floral Sunglass case. It’s very cute! I am in love with this one: Lovely Gus – Slate Gray Pouch with Pink Garden Ruffle. SO cute! This would be the perfect birthday present for me!! I am a subscriber :). I just recently became a subscriber to Maggie Whitley. I love her stuff. I really like the Shady Gus – Garden-Inspired Floral Sunglasses Case with Turquoise Ruffle. It’s super cute!! I also just became a follower/subscriber to EverythingEtsy.com! Oh! i tweeted about the giveaway too! I really love all the makeup bags, especially the Green Garden Large One. Stunning work, I’d love to have one! My favorite is the Gus For Work — Green Garden Work/Laptop Bag with Cream Ruffle 🙂 They are all so pretty! My favorite item is the Gussy’d Up – Green with Pink Ruffle Zipped Make-Up Bag or Diaper Organizer, Waterproof! I love the Grape Baby Blanket, knit! I love the pears zippered pouch. Thanks for the great giveaway! Oh, and I tweeted about it!!!! The Lovely Gus – Gray and Robin Blue Zipped Pouch is my favorite. Cute! I love the Lovely Gus – Slate Gray Pouch with Pink Garden Ruffle! Thanks for the chance to win. What a beautiful Etsy shop! Hard to choose just one fave!!! I love this Ruffle Gus – Floral Wallet with Orange Ruffle. Purple is my favorite color! I love the GUSSY Pouch – Pears, though it was hard to pick just one! I like the Ruffle Guss, pears with pink ruffle wallet. Very cool. Thanks for the introduction to a new etsy shop! i love them all. so cute! Lovely Gus – Slate Gray Pouch with Teal Garden Ruffle! So pretty! I love the slate grey Lovely Gus with the teal ruffle on it – so sweet! Nice pouches.. i love the prints. I love the Charming Gus – Sassy Floral Wallet with Mustard-Yellow Button. I LOVE the Gussy’d Up – Pink Ruffled Stripe Zipped Make-Up Bag or Diaper Organizer, Waterproof. I totally want this to keep everything neat! The green with pink ruffle makeup bag is my favorite. LOVE all the stuff with ruffles…too cute! I love the GUSSY Pouch – Pears, Pears Pears Zipped Make-Up Bag or Diaper Organizer. I also love all the wallets. Thanks for the opportunity! 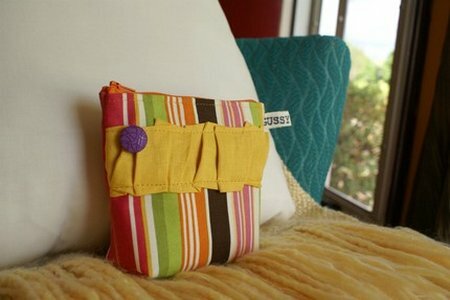 I really like the Gussy’d Up – Striped (large) Zipped Make-Up Bag or Diaper Organizer, Waterproof. It’s so pretty!! She thinks of everything! I like the Gussy’d Up – Pink Ruffled Stripe Zipped Make-Up Bag! How nice it is waterproof as my water bottle always seems to leak in my purse!! I know I should just change water bottles, but it would still be nice to know my belongings inside the gussy’up were safe! Your things are beautiful and so elegant. I love the lovelt gus clutch.. beautiful enough for a nice evening out and understated enough for everyday.. Thank you for such a wonderful giveaway.. who ever wins will be one lucky lady to get to carry such a beautiful piece of work. love the charming gus wallet in gray and yellow. super cute! I would love a colorful change from the drab wallet I’ve had for toooo many years!! My favorite of the wallets is the cheerful Ruffle Gus – Green Garden Wallet with Orange Ruffle. 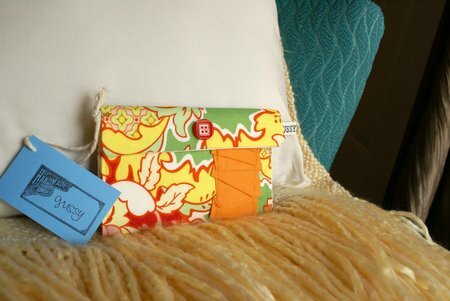 My second choice would be the adorable Ruffle Gus – Circus Wallet with Orange Ruffle. I just LOVE how she added the ruffles to many of her things….so cute!! Thank you so much for the chance!! I love the Gus For Work — Green Garden Work/Laptop Bag with Cream Ruffle. GUSSY Pouch – Apples and Pears Zipped Make-Up Bag… so cute!! I really like the Ruffle Gus – Floral Wallet with Orange Ruffle – so pretty! Thanks for hosting. I’m also an Etsy subscriber. Soooo hard to pick just one, but I LOVE the green garden wallet. Beautiful. I am an everything etsy subscriber too! Great branding, clever design, and such happy fabrics! I’ve been a Subscriber since you first started this great little spot on the interweb. Posting this giveaway at Twitter (@BentwoodRocker), Facebook, and on my blog! I love the Mini-Gus – Pear with Yellow Ruffle Coin Purse! My favorite item is the Gus For Work — Green Garden Work/Laptop Bag with Cream Ruffle 🙂 *Thanks* for the giveaway! My favorite is the Lovely Gus – Slate Gray Pouch with Teal Garden Ruffle. Its gorgeous. I love her pear zipped pouch! thanks for the fun giveaway – the green garden wallet is ultra cute! I love the apple pouch! My favourite is the Ruffle Gus – Red and White Wallet, Yart Sale. So cute! Love the Gus For Work — Green Garden Work/Laptop Bag with Cream Ruffle. I like the floral wallet with orange ruffles. Oooh! I am a Gussy creations lover! I love her bags, they’re fabulous! Sign me up!!! I like the Gussy’d Up – Green with Pink Ruffle Zipped Make-Up Bag or Diaper Organizer, Waterproof. I like the Circus wallet with orange ruffle. The ruffle really makes it stand out…love it! I like the cute Apples and Pears Zipped Make-Up Bag! I like the Gus For Work bag. The Mini-Gus Striped Coin Purse with Green Ruffle (and pink button) is my fave. Super cute! I really love the apples and pears make-up bag! It’s darling! The Green Garden Laptop bag with cream ruffle is my favorite! Oh my, I adore that lovely Gus Clutch with the botanical print. So subtle and pretty. My favorite item has to be the wallet… maybe because mine is falling apart! The fabric on this pouch is gorgeous!